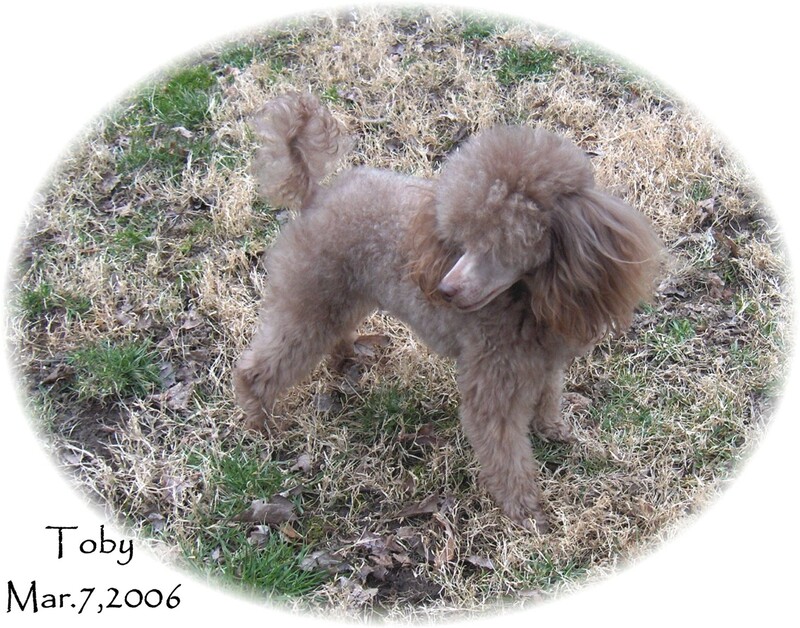 Toby is Stormy's first baby, and a grandson of Ch. Papi. 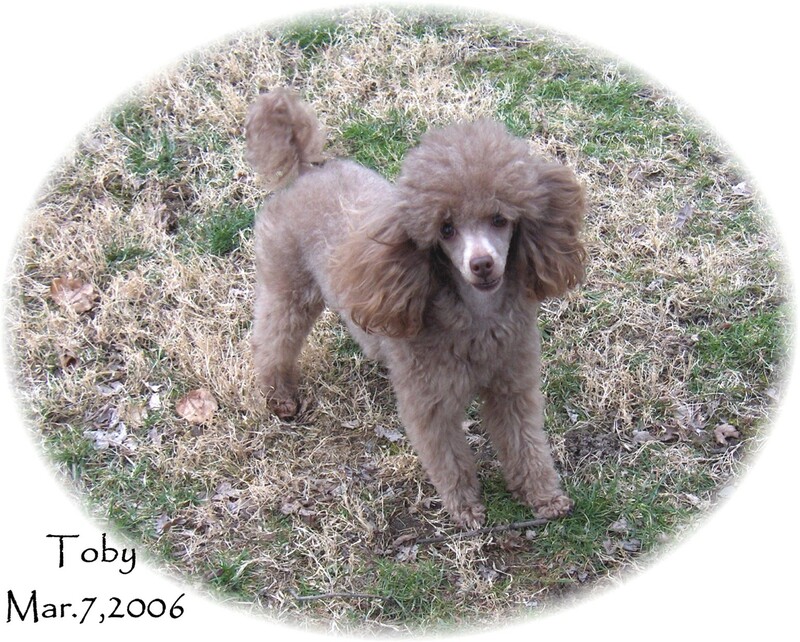 Toby is a beautiful Cafe'Au Lait insized boy. This is his color now. 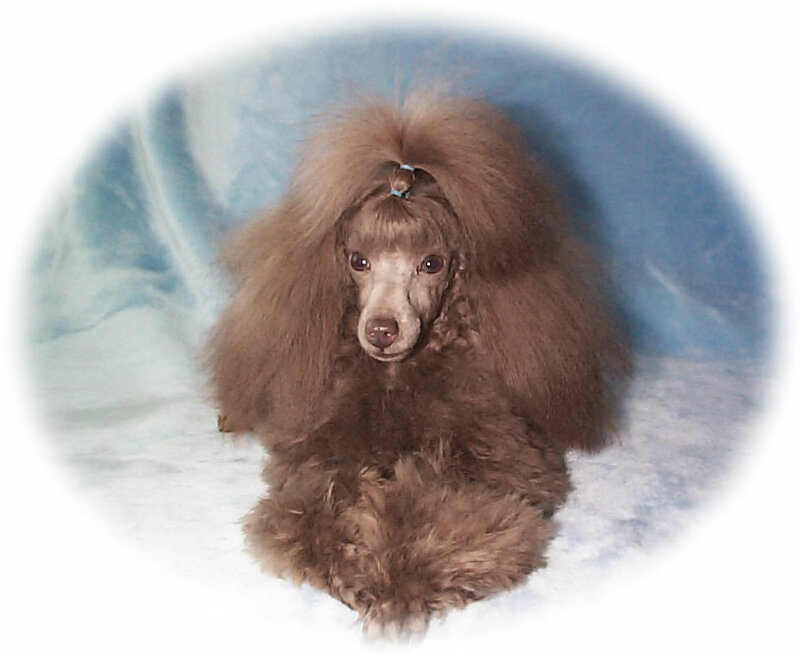 He needs topknot trimmed LOL but this is just a pic to show what a pretty color he is........forget about him standing still while I tried to take a pic he just wanted to play.